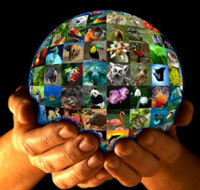 Global trade in wild animal and plant species, including fish and timber, is on the rise - both legal and illegal. Legal and sustainable trade in certain species, such as the wool of the vicuna or the bark of the African cherry tree, can benefit people and wildlife. The current surge in illegal wildlife trade, estimated to be in the billions of dollars annually, is having devastating economic, social and environmental impacts. But not all the costs of wildlife trafficking can be quantified. Iconic species like elephants, and the lesser-known but heavily trafficked pangolin, are being driven toward what experts warn may be the next big extinction. This week, Secretary General John E. Scanlon of the Convention on International Trade in Endangered Species of Wild Fauna and Flora (CITES) and U.S. Ambassador to the World Trade Organization (WTO) and Deputy U.S. Trade Representative Michael Punke met to discuss how to deepen coordination and collaboration to address the burgeoning illegal wildlife trade crisis, as well as to ensure legal and sustainable trade, through new tools to promote conservation and combat trafficking in wild animal and plant species. Welcoming Ambassador Michael Punke and his delegation to CITES premises, the CITES Secretary-General, Mr. John E. Scanlon declared: “In this pivotal year for sustainable development, we are strengthening our cooperation with trade regimes in two areas: tackling illegal trade in wildlife; and ensuring legal, sustainable and traceable trade. Recognising the interconnected nature of these global challenges, we believe that the strong relationship between CITES, the WTO and other trade agreements like the Trans Pacific Partnership (TPP) Agreement, shows how these two legal regimes can work in concert to achieve agreed global goals." Since 1975, CITES, also known as the Washington Convention, has aimed to ensure that international trade in wild animals and plants does not threaten their survival. Today, CITES regulatory controls extend to more than 35,000 species of animals and plants, from sea turtles to tropical hardwoods. Because the trade in wild animals and plants crosses borders between countries, international cooperation and regulation is essential to safeguard certain species from over-exploitation. And because CITES largely uses trade controls to achieve its conservation objectives, the trade and environmental regimes must support each other and work coherently to achieve shared objectives. It may come as no surprise that CITES has long been closely connected to the WTO, which provides the rules and structures of the global trading system. In fact, in 1997, CITES was one of the first multilateral environmental agreements (MEAs) to gain permanent observership to the WTO’s Committee on Trade and Environment – setting the stage for decades worth of information exchange and coordinated technical assistance and capacity building on trade and environment issues. And in this 20th year of the WTO and 40th year of CITES, CITES and the WTO joined forces to release a publication on the relationship between CITES and the WTO showing how this relationship has evolved into a leading example of global trade and environmental regimes supporting each other and working coherently to achieve shared objectives. 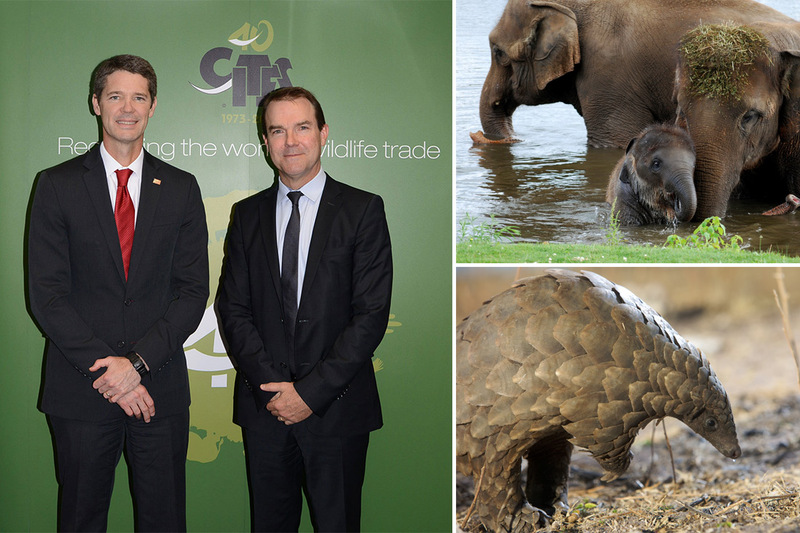 The new WTO Trade Facilitation Agreement (TFA) provides even further opportunities to enhance cooperation between customs, wildlife, and trade officials and support efforts by CITES to better regulate legal wildlife trade and intercept illegal trade. Ensuring effective implementation of CITES has also featured prominently in U.S. trade agreements, first as a basis for environmental cooperation, and more recently, as an enforceable obligation embedded in the trade agreement itself. This has helped catalyze political will and much needed action in countries in Central America and Peru, for example, to strengthen national laws and regulations governing international trade in protected wildlife and timber, enhanced criminal penalties for trafficking in CITES-listed species, and increased cooperation among CITES officials and law enforcement authorities. The recently concluded Trans Pacific Partnership (TPP) negotiations with twelve countries in the Asia-Pacific region sets a new, higher bar for combatting wildlife trafficking and ensuring legal and sustainable trade, where applicable, including through enforceable obligations requiring all TPP partners to implement their CITES obligations, promote the long-term conservation of species at risk, protect natural habitats like wetlands, and implement strong anti-corruption protections as bribery and corruption are often at the root of illegal trafficking schemes. TPP also provides a new international platform for enhanced regional and global cooperation among national and international authorities, such as CITES. There is a clear path forward for enhanced collaboration with CITES under the WTO, TPP, and other trade agreements, which will serve to enhance the effective implementation of CITES at the national level. Only by continuing to forge even stronger, mutually–reinforcing partnerships can we tackle one of the most pressing environmental issues of our time.